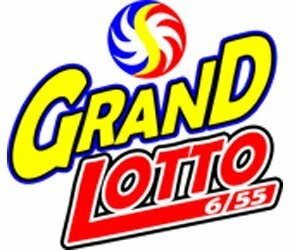 The jackpot prize of the Grand Lotto 6/55 game on Wednesday, September 17, 2014, is estimated to reach over P225 million, says the PCSO. According to the Philippine Charity Sweepstakes Office, no ticket matched Monday's winning number combination 17-48-54-44-15-28, with P213,613,604 pot money at stake. Although there were winners of consolation prizes—up to P200,000 for 5 winning numbers, up to P3,000 for 4 and P20 for 3—the multi-million jackpot remains intact and is anticipated to increase until the closing of ticket selling hours tonight. Meanwhile, no one was also able to hit the jackpot for Mega Lotto 6/45 last Monday which means a bigger prize, estimated at P49 Million plus, will also be up for grabs. Consolation prizes for said game are up to P50,000 for 5 winning numbers, up to P1,500 for 4, and P20 for 3, according to the PCSO Lotto Results site.